1) If we bury our feelings and don’t work through them, they fester in our subconscious and come out in ways we are unaware of. God has created us so complex – with emotions that can affect us deeply if we don’t address them. We first need to expose and tend to the wounds. To grieve over our pain and what we have lost. If someone forces forgiveness as an immediate duty, it can pile on more guilt and shame, and our wounds will fester even deeper. We can draw even more into ourselves as we feel like no one understands the struggle. 3) Forgiveness is not necessarily reconciliation. We don’t need to have to have warm, fuzzy feelings about them and forget what they have done to us. It doesn’t mean we need to trust a person who continues abuse. Some people still are not “safe” for us to be around. God wants us to set boundaries to keep them from hurting us more. 5) Greek meaning of “forgive” is to “release” or “send off” – release it to Jesus! 9) I have hurt my Savior far more than anyone on this earth has or can hurt me. If I comprehend more of the magnitude of His love for me, I will more easily forgive those who have hurt me. 11) Forgiveness is often a process that must be worked through. God understands that it is difficult for us to forgive instantly and completely. He is patient with us. Jesus understands our hurt and will help us to be kind, to pray for them, and to not seek a path of revenge towards them. He understands how hard it is, and He longs for us to run to Him and cry out our hearts to Him. 12) Forgiveness frees us and makes our lives better, but healing is a continual process, especially when we have a deep soul pain. We may need to forgive over and over again. Sometimes just when I think I have forgiven those who have hurt me, memory triggers invade my life and destroy my peace. Then sometimes bitter feelings flood into my heart again as I think of all that my abusers have stolen from me. 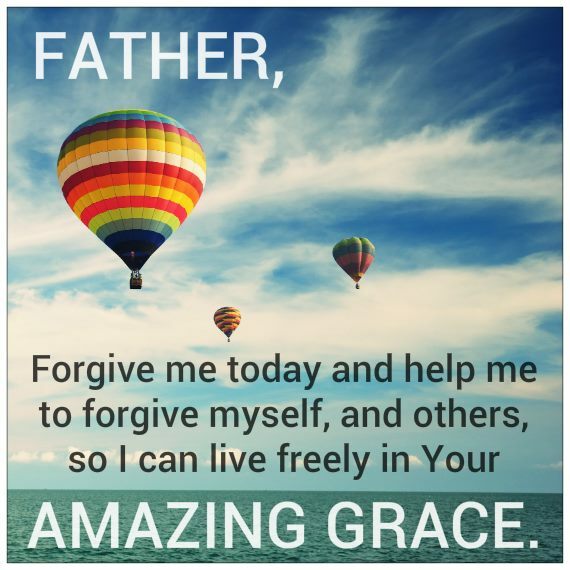 Again and again I have to plead for Jesus’ grace and strength to forgive.